I’ts been a while now that I’m thinking about creating this item… You maybe already know how my gnome love to travel…well they did find a new way !!! … this little love letter is another great way to say ” I LOVE YOU ” to your cherish one ! 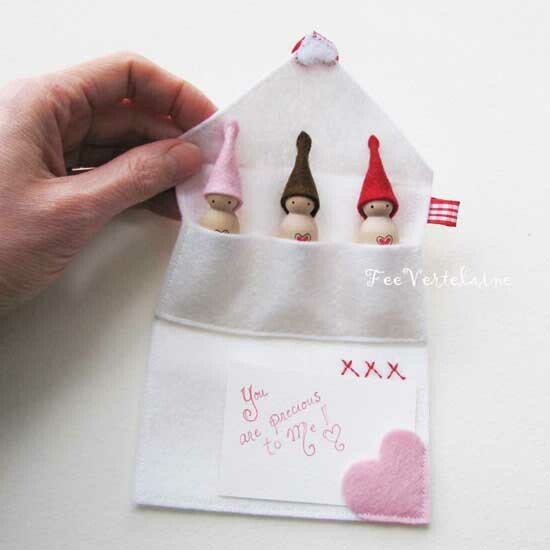 Of course it is a perfect valentine little present BUT can also be an everyday gift to show your love to your children, partner, friend, parents….name it !! 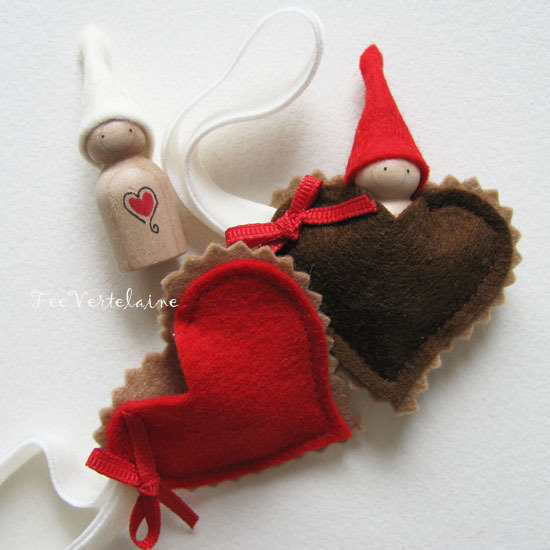 Let me tell you a short story on how we celebrate valentine in my familly…. When I make her bed I leave the heart on her pillow or I leave it with a little “snack”….leave room for your imagination…a little thing that say I LoOove you ♥… she always ENJOY’S this little gesture !!! That is why I did create the ”love gnome” . Don’t do facebook, but this is cute and I wish everyone else luck.